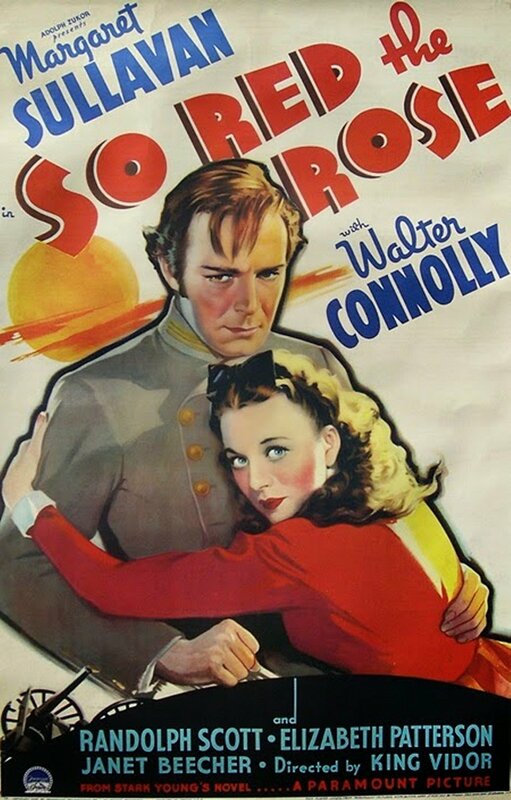 SO RED THE ROSE is King Vidor's quietly affecting Civil War romance, starring Margaret Sullavan as a Southern aristocrat, the mistress of a Southern plantation, whose sheltered life is torn apart by the War between the States. 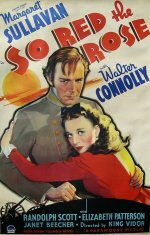 During the war's darkest days she is sustained by her love for a distant cousin, a Confederate officer, played by Randolph Scott. - imdb.